BJP MLA Diya Kumari, a member of the erstwhile Jaipur royal family, is not contesting the 7 December Rajasthan assembly election. 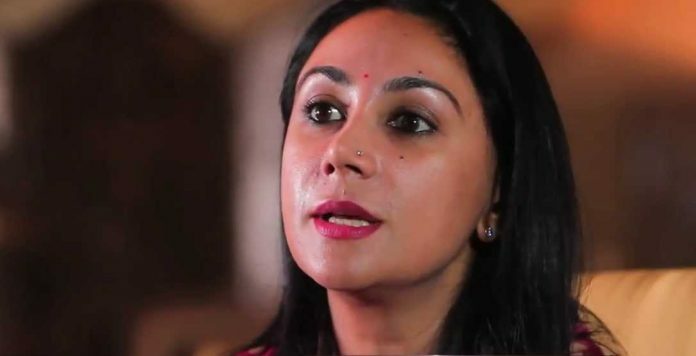 New Delhi: Bharatiya Janata Party (BJP) MLA and Jaipur ‘princess’ Diya Kumari is staring at a possible debut on the national stage in the 2019 Lok Sabha polls, a top source in the BJP told ThePrint. A bigger role in the BJP as well as Rajasthan may also be in the works for her, the source added. Diya Kumari is not contesting the Rajasthan assembly polls taking place Friday. She reportedly failed to get a ticket from her constituency, Sawai Madhopur, as the BJP had already set the seat aside for a candidate pitched by Meena strongman Kirodi Lal Meena. Although there were reports that Kumari wanted an assembly ticket, she has officially maintained that her decision to sit this election out was driven by personal reasons. On Wednesday, Kumari and her mother Padmini Devi held a one-on-one meeting with party chief Amit Shah at their residence in Jaipur. Asked about the details of the meeting, Kumari said it was not to discuss her political prospects. Despite senior leaders maintaining that Kumari will get a shot at the Lok Sabha, she answered related questions with a touch of diplomacy. Silently and stealthily, the BJP has deployed Kumari, 47, to repair its frayed relationship with the Rajputs. The community is said to be the most powerful in Rajasthan despite comprising less than 10 per cent of its population, on account of its vast land and commercial interests. According to sources, the community has the power to influence the voting outcome in at least 40 of the state’s 200 assembly constituencies. BJP voters by tradition, Rajasthan’s Rajputs have reportedly been miffed with Chief Minister Vasundhara Raje over a host of issues, beginning with the denial of candidature to former union minister Jaswant Singh in 2014. Kumari and her mother themselves had a very public spat with Raje two years ago, but the latter’s son Dushyant told ThePrint recently that there was no strain in the relationship. Deploying Kumari to soothe the Rajputs was a last-minute strategy devised by the BJP, sources said. The former royal has reportedly been speaking to influential community leaders of the state to secure their support for the BJP. The reporter was in Rajasthan as a guest of BJP MP and union minister Rajyavardhan Singh Rathore.